For traveler tips, reviews, and other tourist information, read our Kailua-Kona trip planner . Detroit to Kailua-Kona is an approximately 13.5-hour flight. You can also do a combination of bus and flight. You'll gain 5 hours traveling from Detroit to Kailua-Kona due to the time zone difference. Traveling from Detroit in January, things will get much warmer in Kailua-Kona: highs are around 80°F and lows about 67°F. Finish your sightseeing early on the 21st (Tue) to allow enough time to travel to Lahaina. Start off your visit on the 22nd (Wed): stroll through Wailea Beach and then get interesting insight from Tours. Get ready for a full day of sightseeing on the 23rd (Thu): kick back and relax at Napili Beach and then tour the pleasant surroundings at Ka'anapali Beach. For more things to do, where to stay, reviews, and other tourist information, you can read our Lahaina trip itinerary maker website . Traveling by flight from Kailua-Kona to Lahaina takes 4 hours. Alternatively, you can do a combination of flight and bus; or do a combination of bus and flight. In January, daily temperatures in Lahaina can reach 78°F, while at night they dip to 67°F. Wrap up your sightseeing on the 23rd (Thu) early enough to travel to Honolulu. We've included these beaches for you: Waikiki Beach and Kailua Beach Park. Get in touch with nature at Diamond Head State Monument and Manoa Falls. 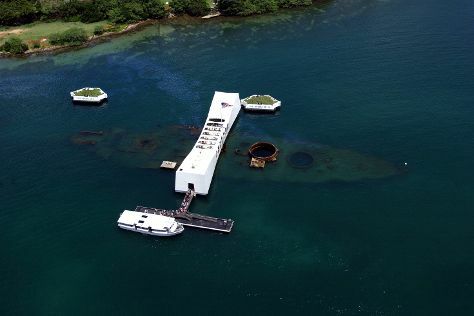 There's much more to do: explore the different monuments and memorials at USS Arizona Memorial, explore the activities along Hanauma Bay Nature Preserve, and see the interesting displays at USS Bowfin Submarine Museum & Park. To find where to stay, ratings, and tourist information, refer to the Honolulu trip planner . You can fly from Lahaina to Honolulu in 3.5 hours. Alternatively, you can do a combination of ferry and flight; or do a combination of bus and flight. In January, daily temperatures in Honolulu can reach 81°F, while at night they dip to 67°F. Wrap up your sightseeing on the 26th (Sun) early enough to travel back home.